Are you looking for a rewarding experience? Do you want to help out the small community of Millmerran? Volunteer for the 2018 Australian Camp Oven Festival and together, let’s make it the best one yet! We are looking for helping hands on a range of projects in the lead up to, and during the event. Volunteering for the Australian Camp Oven Festival isn’t difficult. Pick a time slot, a task that suits you and wait in anticipation for Festival time to arrive – because you are going to have a tonne of fun! Volunteer positions for Australian Camp Oven Festival are now open. 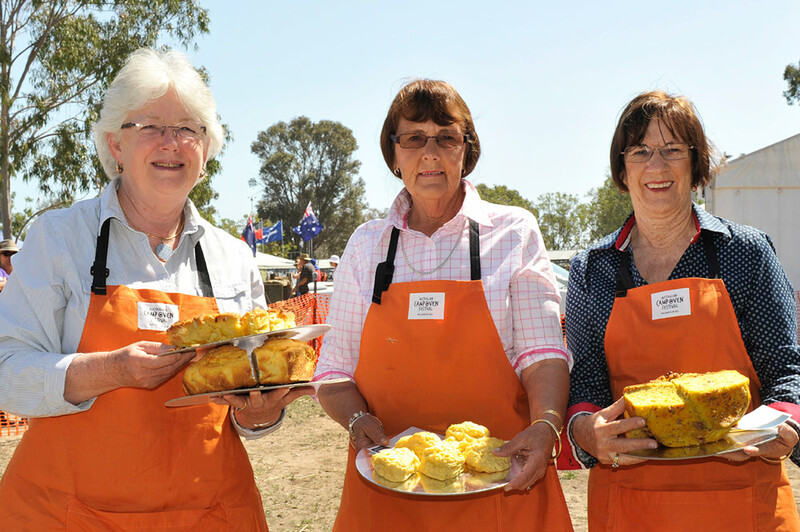 Held in Millmerran QLD the Australian Camp Oven Festival is a two day celebration of all things Australian! Take part in our camp oven cooking competition, enjoy our live entertainment and see heritage displays, sheep shearing, damper throwing and more.